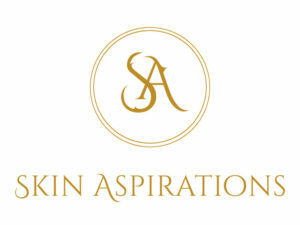 Skin Aspirations provides bespoke skin treatments and facials in Chelsea, London. We have recently introduced a new service – Japanese facial massage which is also known as the “facelift without surgery.” It aims to rejuvenate the face, preventing and reducing the impact of the ageing process. The combination of energising, delicate and sensitive techniques, applied in a subtle, quick and rhythmic way, induces deep relaxation effect. After a Japanese Facial Massage session, you will feel rested, relaxed, with a clear mind, just as after a restful sleep. This massage is considered a very effective technique to reduce stress. We are looking for beauty, skin care or lifestyle bloggers to visit us in Chelsea (London) to review our signature Japanese facial massage. The session will last 80 mins and there is no downtime. We ask for your honest review on your blog with a link to our Japanese facial massage product page in your review. We are looking to partner with beauty, lifestyle, skin care or London bloggers. Bloggers must have their own domain/website. You will receive a complimentary signature Japanese facial massage. We will also publicise your blog post through our social media channels. We are also happy to discuss further collaboration opportunities.